My favorite breakfast is 3 or 4 apricots picked fresh off our tree. 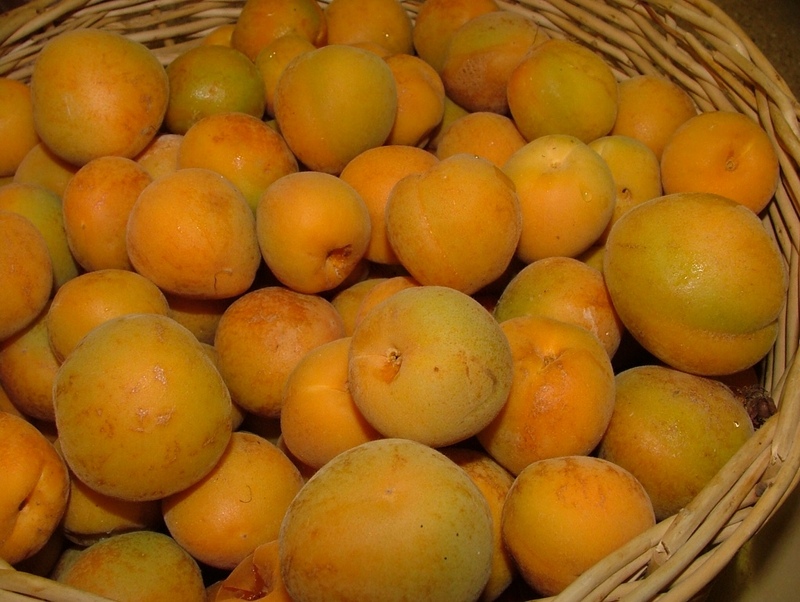 Apricots are the perfect fruit! They are sweet and tangy and their skin is so thin, you don't have to peel it! Some of my favorite recipes involve apricots! Germany is known for their delicious cakes and this Fresh Apricot Cake is a summer staple in most German homes. 1 bite and it will become a family favorite in your home! 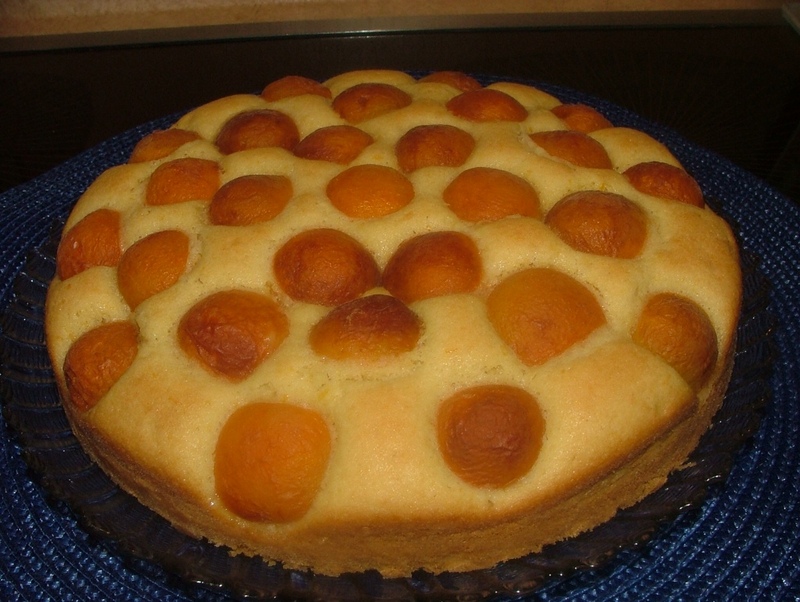 Doesn't this kuchen look delicious? This recipe calls for an 11-inch springform pan. I used a 9-inch and a 4-inch springform pan. We enjoyed the little kuchen today and the larger cake is tucked away in the freezer for a belated birthday celebration this coming Sunday for my Mom-in-love! 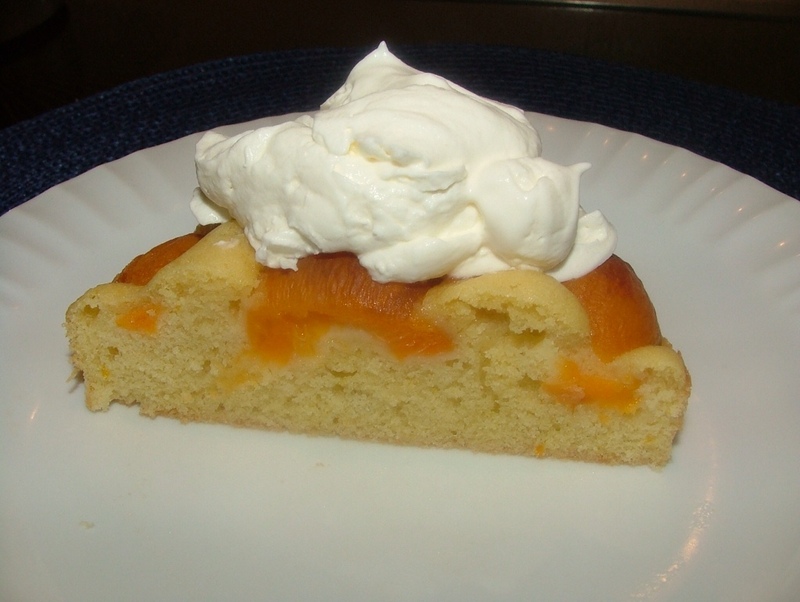 Half a mini kuchen topped with sweetened whipped cream. You can use your mixer if you want, I preferred to mix my cake by hand. This kuchen can be served warm or cold with dollop of whipped cream or a sprinkling of powdered sugar. 1/4 cup buttermilk or sour milk (3/4 teaspoon apple cider vinegar mixed in whole milk equaling 1/4 cup. Warm milk on 50% power in the microwave for 30 seconds). 1 1/2 pounds of washed apricots, cut in halves. Butter and flour your 11-inch springform pan, 9-inch springform pan + 4-inch springform pan or 9-inch x 9-inch cake pan. Set aside. In a separate bowl whisk together unbleached flour, baking powder and salt. Mix dry ingredients into wet ingredients. Add buttermilk/sour milk and mix well. Spread batter evenly into baking pan. 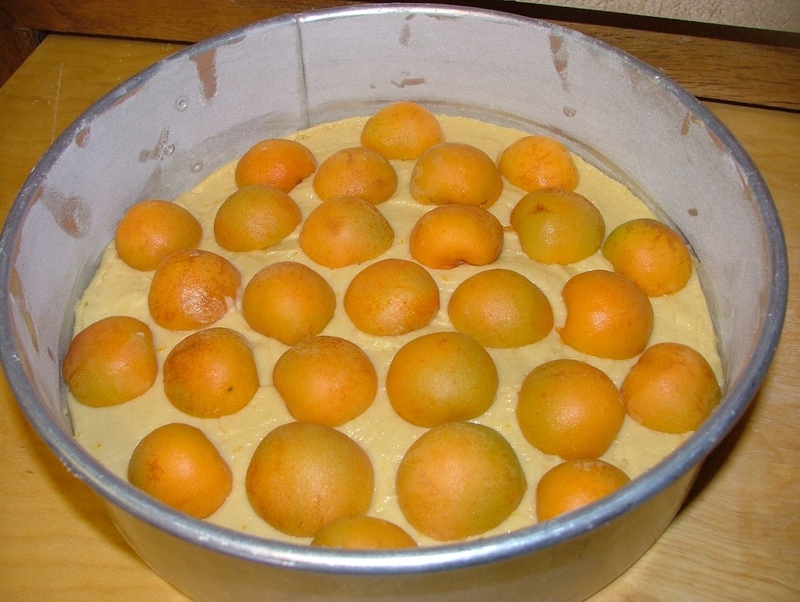 Place apricots on top of batter, cut side down, using a circular pattern. Bake at 350F for 30 to 40 minutes with an 11-inch springform pan. Baking times will vary depending on the size of your pan. My 9-inch springform pan took 30 minutes to bake and the 4-inch springform pan took 18 minutes. Keep an eye on your kuchen, testing for doneness with a toothpick. Cool on wire rack for 15 minutes before removing from pan. 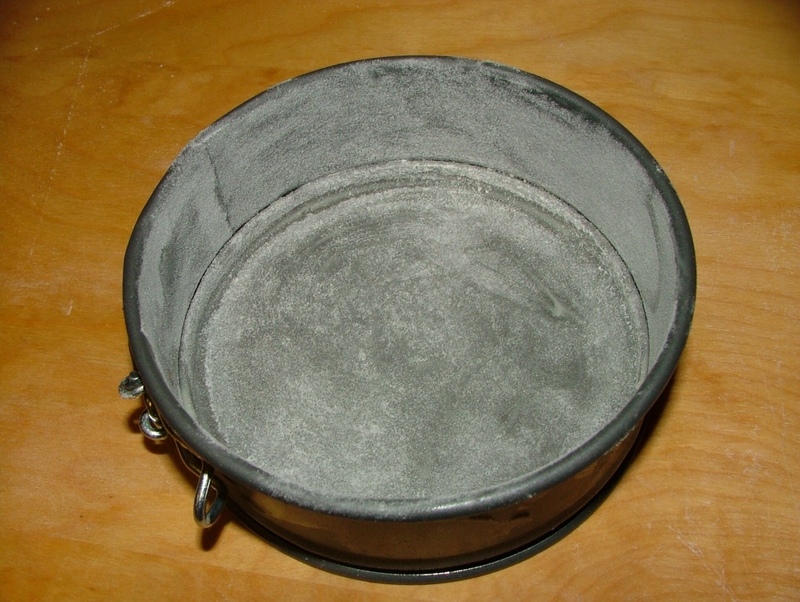 Cake can easily be removed from springform base becaue you buttered and floured your springform pan. Prepared springform pan ~ buttered and floured. 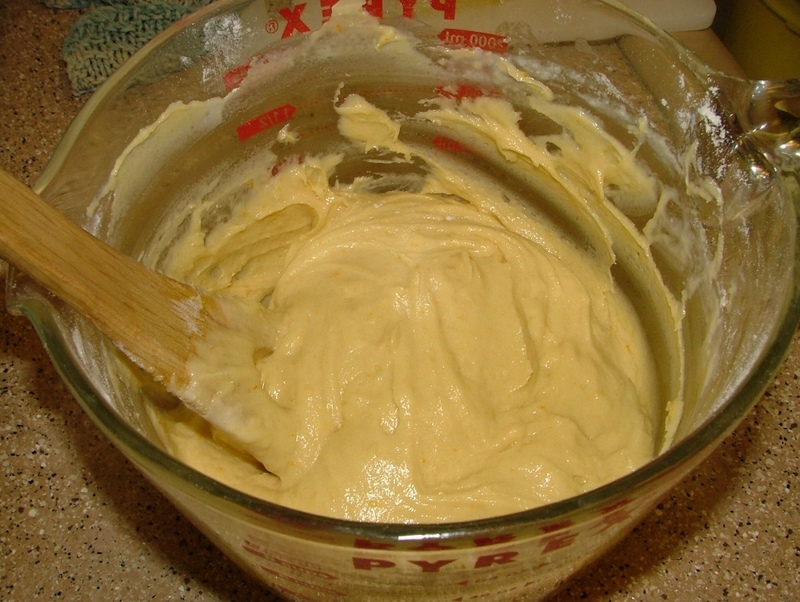 Batter mixed and ready to spread. Arrange fruit in a circular pattern. I love making kuchens when my apricots and plums are ripe on the trees. This recipe is easy to make and, you won't be dissappointed by the wonderful cake and fruit combo! It's a delightful burst of flavor and texture in your mouth! Of course, we love it for dessert and for breakfast . . . Over at Julie's!!! 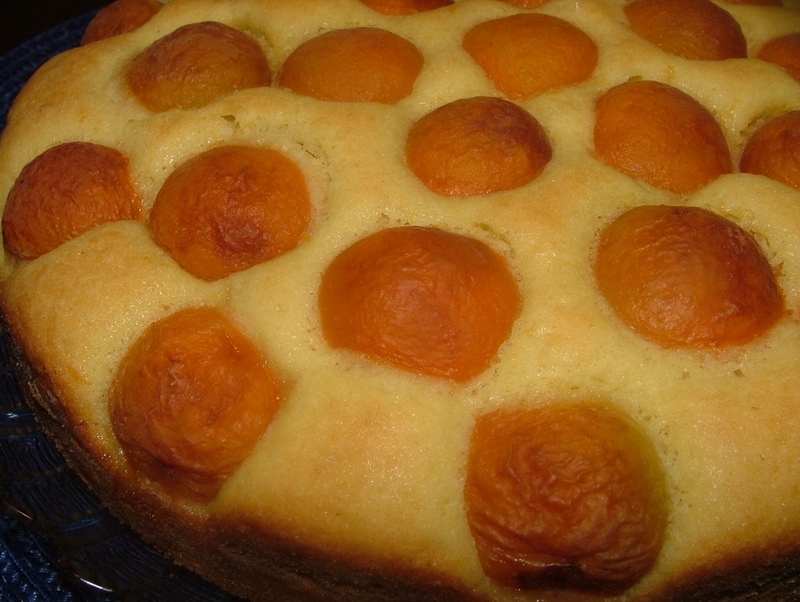 Aprikosenkuchen ~ Fresh Apricot Cake! Meet Pretty Miss Leigh K.